This Earth Observatory posted this image from July 4th of oil from the damaged Deepwater Horizon oil well off the Mississippi Delta. 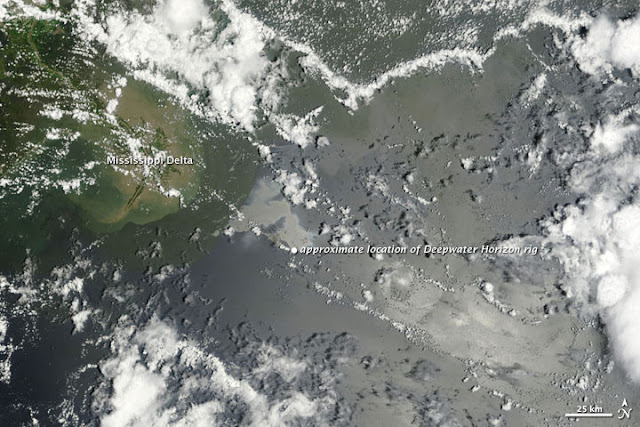 The MODIS on NASA’s Terra captured the natural-color image. The oil appears as an uneven light gray shape east-southeast of the delta.